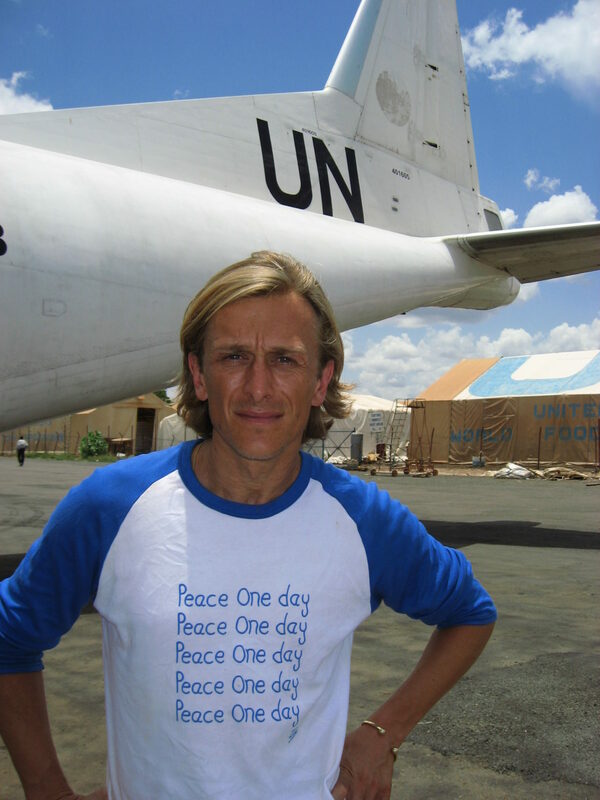 After a successful career acting in film and television, Jeremy Gilley began making his own films in 1995 and in 1999 founded the non-profit film project Peace One Day to document his own efforts to establish the first ever annual day of global ceasefire and non-violence with a fixed date. Under Jeremy’s leadership, Peace One Day’s overarching objectives are to institutionalise Peace Day throughout the world, making it a day that is self-sustaining, and to engage all sectors of society in the peaceful observance of 21 September in accordance with the UN resolution. In July 2011 Jeremy gave the closing speech at the prestigious TED Global 2011 conference in Edinburgh. In the furtherance of its objective, for Peace Day 2012, Peace One Day is calling for and working towards a Global Truce, what is hoped will be the largest reduction in global violence in recorded history, both domestically and internationally. To this end POD is engaged in an extensive diplomatic and grassroots communications exercise involving all sectors of the society. JG: A much more peaceful world. The suffering of innocent people is decreased and we are much more protective of our environment and our people. JG: Being really frustrated and confused frightened about what was going on in the world. Wondering if the destruction of the world was inevitable. It was all of those questions. JG: Smile at someone that you don’t know. Saying sorry to somebody if you have wronged them. Be more lovely. And tell somebody every day about the International Day of Peace on September 21st in all 192 UN member states.